Nora H. Gilbert (nee Pringle) age 95, of Joliet, passed away peacefully in her home, Wednesday September 5, 2018. Born on October 10, 1922 in Los Angeles, CA, she graduated from Springfield South HS in Springfield, OH. Married her husband, Lloyd, on November 9, 1946, in Chicago. He preceded her in death in 2005. 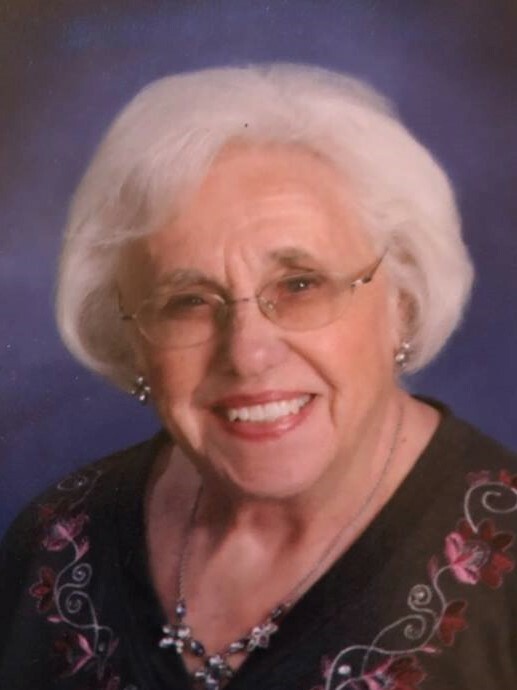 Nora was a faithful member of First Lutheran Church in downtown Joliet. She was active in the choir, directed the youth choir, was a member of the Women’s Circle, participated on the Altar Guild, and served as church council treasurer. She worked the food pantry at her church weekly and helped every month at Daybreak Shelter. In her final year, Nora enjoyed a trip to Northport, MI, where she had all three daughters together and relaxed on the beach. She loved her many church friends and long-time neighbors. Preceded in death by her sister, Marilyn Huffman, Huber Heights, OH; brother Girven Pringle, Conyers, GA. Survived by her daughters, Pamela (David) Grath, Northport, MI, Deborah (Robert) Wesley, Springfield, IL, and Bettie (Ben) Komar, Joliet; grandsons, Ian (Kim Mack) Schirado, Kalamazoo, MI; Matthew Case and Geoffrey Case, Springfield, IL; numerous nieces and nephews. Visitation at Blackburn-Giegerich-Sonntag Funeral Home (1500 Black Road - Joliet, IL) on Sunday, September 9, 2018, from 4:00 p.m. to 8:00 p.m. Funeral service on Monday, September 10, 10:00 a.m. St. Edward and Christ Episcopal Church (206 N Midland Avenue, Joliet, IL 60435). Interment to follow at Woodlawn Memorial Park in Joliet. Memorials to Women’s Circle of First Lutheran Church, 55 E Benton, Joliet, IL 60432 or Will County Humane Society, 24109 W. Seil Rd., Shorewood, IL 60404.